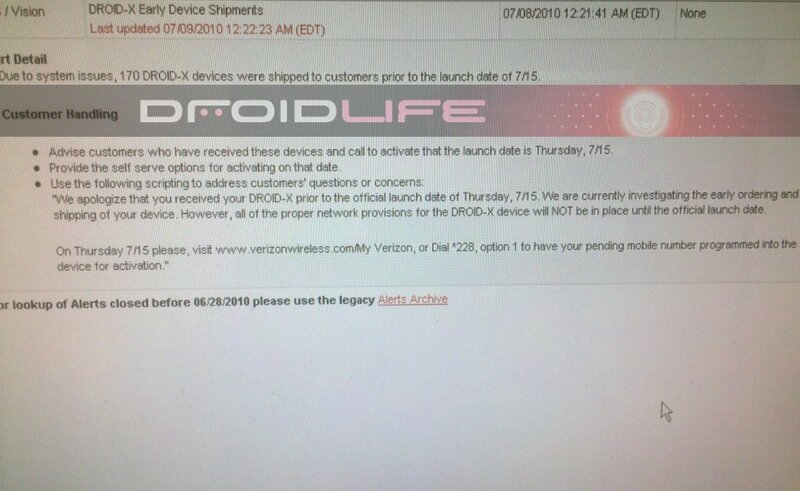 Exactly 170 DROID X devices were shipped early to customers this week. They also are doing their best to tell these early acceptees to not activate these devices until July 15th. Why? Because all of the new features included on the DX will not be active which we have to assume means the mobile hot spot feature. So it looks like you can finally stop calling and attempting to order one early. Plus, we only have 6 days left people. Not that I have an ounce of patience either, but it’s time to dig deep and find some. July 15th will be here before we know it!